And sometimes, due to how frequent people tend to annoy you, you do wrongly block even people that are most times innocent...so you want to go back to cross check if you've mistakenly blocked your true friend. How do you get there? This post will help you figure it out! When you unblock someone, that person will be able to access your posts on Facebook that you share with the public. But, the person won't automatically become your friend on Facebook. If you want to become friends with the people you have unblock, you'll need to send them a friend request again. 5. 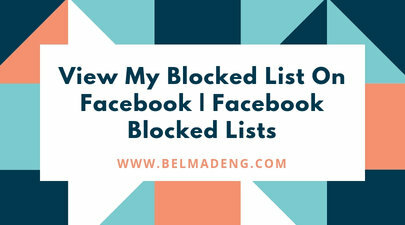 Go to the blocked user section and scroll down the list to see all the persons you've blocked so far.